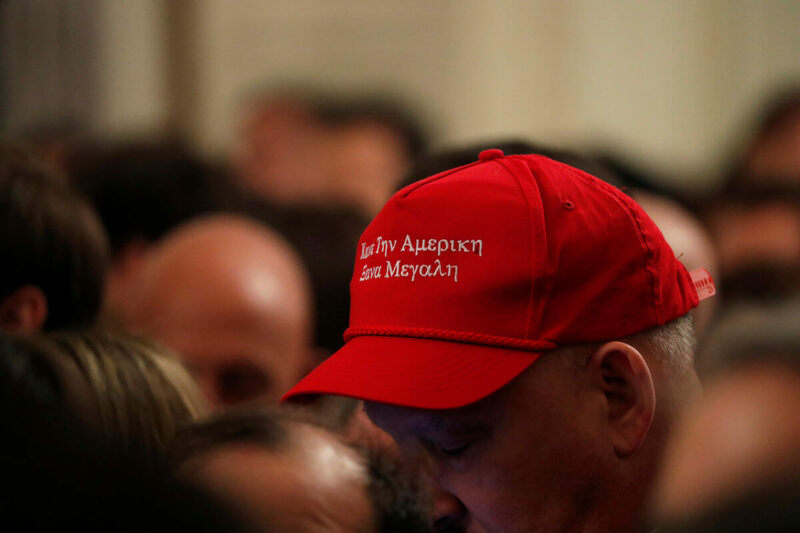 Nobody dared to contradict the President or even whisper in his ear what country should be made great again. Never mind. Trump was self-content and the audience pleased. 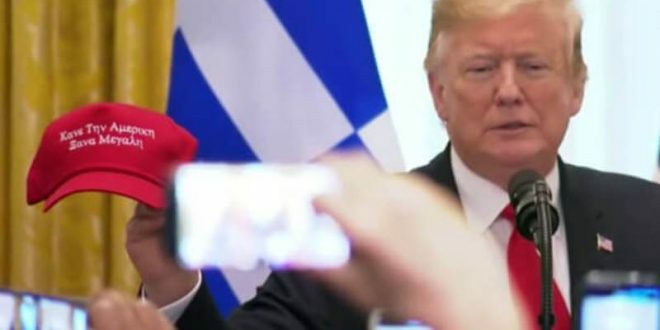 Trump hailed the Greek freedom fighters as well as the Greek-Americans for their contribution to the country. “On March 25th, 1821, Greek patriots rose up and fought to liberate their country, restore their sovereignty, and reclaim their destiny. Right? He hailed Ancient Greek philosophers and poets and how the Ancient Greek civilationa shaped the Western world, including the US. In every generation, Greek Americans have summoned the courage to defend our freedom. Today, we are honored to be in the presence of Greek Americans who have served in the American Armed Forces — many, many great Greek Americans — (applause). Addressing the audience, Trump said “You’ve brought jobs and promise to cities and towns across America. And you’ve deepened the bonds of affection and renewed the pride of patriotism that unites us as one people, one family, and one glorious nation under God. I want to thank you. God bless you. And again, I want to wish all of you a joyous Greek Independence Day. Thank you. The audience cheered “USA! USA! 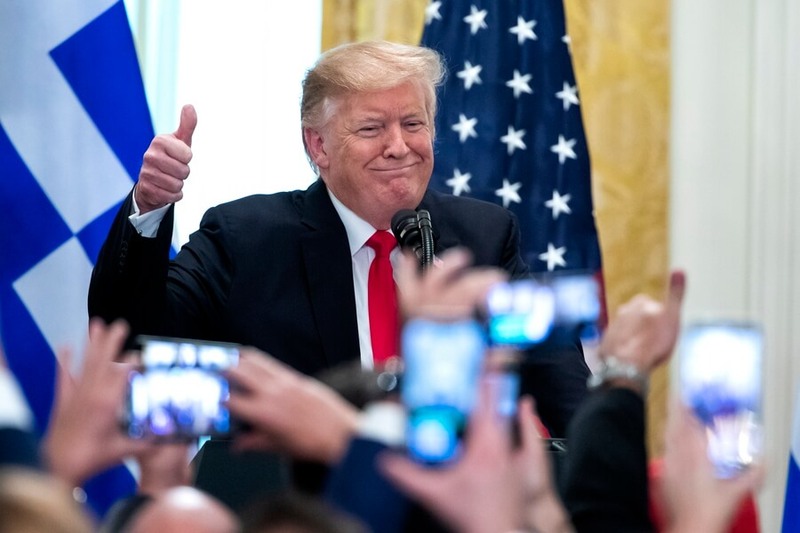 USA!” and some member shouted “Four more years!” when the US President spoke of how great he made the economy in his country.